The Vancouver Condo Buzz » DESIGN-LED HOMES at THE JERVIS Vancouver West End Condos for Sale! An intimate collection of design led homes is now here! 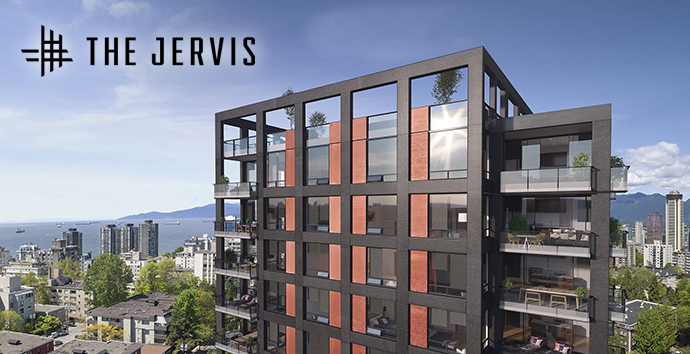 Introducing The Jervis Vancouver West End condos by Intracorp and Inform, rethinking the way homes are designed and built. 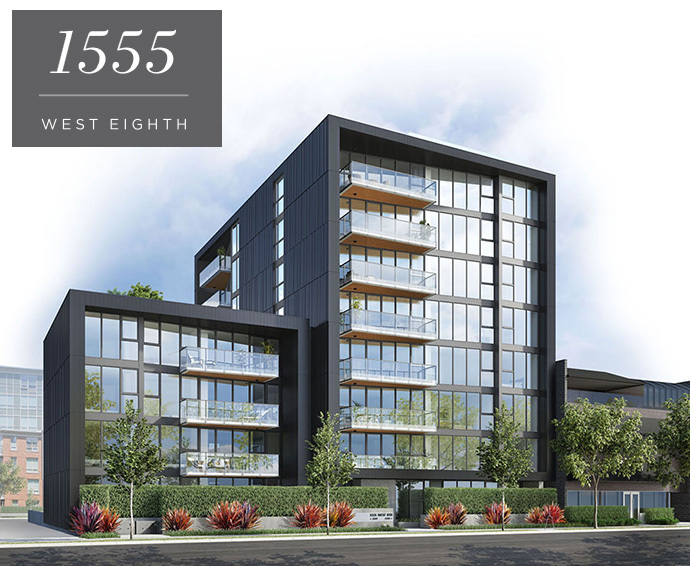 Elevated living by design is now available during presales here at The Jervis West End condos that features a boutique building of 58 luxurious residences. It’s undeniably unique and something very special. From the established West End Vancouver neighbourhood to the tree lined streets, and from the character homes and community personality, The Jervis is located at the corner of Davie Street and Jervis. The first of its kind partnership between Intracorp, the building expert, and Inform Interiors, the fashion forward design, makes The Jervis Vancouver condos a unique experience in every way. The project will consist of a 19 storey mid-rise tower in the heart of the West End district. Because it’s designed from the ‘inside-out’, every aspect of the architecture and the interiors are well thought out from the point of view of the resident, something sorely lacking in other cookie-cutter developments in downtown. From column free interiors to flexible spaces and from striking architecture to modern features, The Jervis Vancouver West End condos is more like a resort villa than an apartment complex in every way. The grand foyer opens onto a spacious living room that is framed on both sides by expansive floor to ceiling windows (most with incredible views). Natural light floods the interior living spaces, many of which are at least 200 square feet in size! All of the homes at the presale Vancouver Jervis condos are two bedroom corner suites, allowing expansive views in multiple directions. Prices for these spectacular West End residences starts from the $1 million range. For more details and to register your interest, please visit www.thejervis.com today or register with us on this page for info. From the marketing website: Elevated Living by Design! Sharing a passion for innovation and perfection, two leaders of their respective industries in Vancouver – Intracorp and Inform Interiors – have partnered to reimagine how homes are designed and built. Aesthetically striking and considered from every possible angle, The Jervis is uncompromising design put into practice. It is 58 perfectly formed and carefully crafted homes, built by design and made for living. Intracorp is renowned for building extraordinary real estate communities across Canada. Inform Interiors, owned by Niels and Nancy Bendtsen, is internationally respected for their principles of aesthetics, quality, and design. Their collaboration with Intracorp at The Jervis marks Inform’s first foray into architectural design. Each partner brings a unique perspective to the design process as they focus on elevating the daily living experience through the application of thoughtful design. This pursuit of perfection and attention to detail has resulted in a building unlike any other in Vancouver. The West End residences are superbly designed from inside out to maximize living space and privacy. With only 58 homes over 19 floors and only 4 suites per floor, each of The Jervis West End condos are actually corner suites. From over height ceilings that provide airy and light filled living spaces to expansive windows offering views out towards two exposures and from air circulation to unique architecture, everything about The Jervis Vancouver is unique and timeless. It’s respectful to the established West End neighbourhood and the dramatic exterior structural framework allows for fewer interior support structures. This opens up the interior living space so that it is uninterrupted. The raven black concrete framework complements the weathered Corten steel panels and graphic coloured window frames and railings. The Jervis has an additional dimension of uncompromising simplicity, strength and clarity. The linear kitchens are inspired by Niels and Nancy Bendtsen’s Paris home and feature an integrated high-end and very beautiful Italian cabinetry, self healing surface finishes, specialty exhaust systems and the most advanced cooking technology on the market today. As well, the bathrooms are subtle and understated with floor to ceiling hand selected marble tile work to recessed mirrors and halo lighting. All of the homes at The Jervis West End are also high-tech in that they are wired for security and come with the potential for full home automation for temperature, lights, blinds and surround sound. In addition, the large covered outdoor areas (all positioned on corners) adjoin the interior living space which makes your home more functional and much bigger. It also enhances natural light and air circulation whilst offering incredible views in multiple directions. The Jervis sales centre is now open at 1295 Davie Street Vancouver. They are open daily Saturday through Thursday between 12-5pm. The team includes Trepp Design Inc (interior design), Richard Henry (envisioning architect), NSDA Architects (architecture), Durante Kreuk (landscape architecture), Millson Technologies (technology integration) and Nelson Mouellic (The Jervis photographer). The Jervis is developed through the collaboration of Intracorp Developers and Inform Interiors.